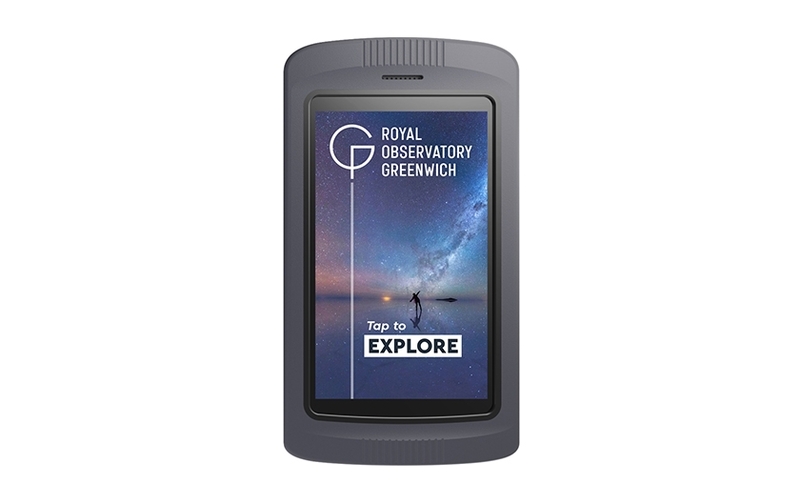 The first UK site to adopt Imagineear’s new advanced MPi™is The Royal Observatory Greenwich, a chosen upgrade from the MediaPacker™ devices which have been providing tour content for visitors for the last two years. Like the MediaPacker™, the MPi™ is built for maximum resilience and is designed for repeat use all day but comes with a 4 inch touchscreen and a choice of listening modes. Besides the hardware update, Imagineear has helped to script, then recorded and mixed additional content integrated into the current tour for a new section of the museum, Flamsteed House. This was the original observatory building designed by Sir Christopher Wren which subsequently became home to the Astronomers Royal and their families. It was also the place of work for those that held the prestigious post of Astronomer Royal. Atop the house is the famous bright red Time Ball which drops at precisely 1.00pm every day, a public time signal that has been in operation since 1833. Over 3/4 million people a year from many different countries are attracted to The Royal Observatory Greenwich each year.